Where did July go? We did a bit of traveling and a lot of working but no big victories for July. 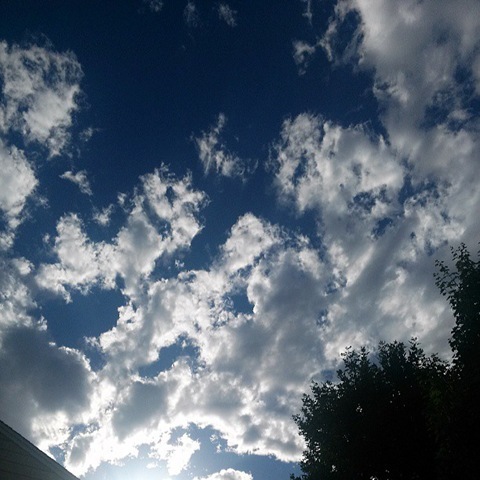 While I usually don’t use my blog to vent, sometimes I can’t pretend that my life is just beer and happy things (even though I did get my GABF tickets yesterday!). Sometimes I’m just frustrated. As the cursor blinks at me, I think about all of the things that I need to be doing. I need to get out of the house! When did I become a hermit?? When I come home from work, the last thing I want to do is think about what I’m going to do after dinner. We always look for new movies or shows to keep us entertained when we should really get back to reading good books and walking the dog. I need to nourish my mind with good things and not junk. I now have a job which allows me to be a little more flexible. I always said I wanted a job that would allow me to work out in the middle of the day. Now that I have it, I’m not down in the gym nearly enough. It would definitely help my attitude if I did a workout mid-day instead of spending 8 straight hours looking at a brightly lit monitor. If I am going to be happy with things, I need to give myself a chance to succeed. I don’t think I need to set up a hard plan or make any promises, I just need to make myself happy! That means making sure that I don’t let the little things get to me and really enjoy the things that are going to get me moving in the right direction. I took a day off work to rest and recover from this summer cold. I will have to save some of my favorites of this week for later! I just wanted to pop in to wish you a happy weekend. It’s the last weekend to get your June to do list finished. I’ve got a few things left to check off (like finally having a meal outside on our new patio furniture). What’s left on your list? While Monday is typically reserved for beer and Front Range culture, today I am continuing on my selfish streak. Thankfully, I had an extra day off. I hung around the house and got some laundry done. I got the car washed because it was 60 degrees out and I hobbled around a few furniture stores looking for a new hutch and dining table. I was supposed to write about beer and spend 2.5 hours at the gym this morning and it didn’t happen. If you follow me on Instagram, you probably saw that I had a rough day on the slopes yesterday. It was crowded and a bit icy in spots but overall, my first day back to skiing was great. That was until my last run. It was actually our planned last run and I was half way down when I lost my footing and down I went. Apparently I yelled pretty loud when I fell because I had strangers asking me if they needed to get ski patrol and the husband urging me to hop on a medical stretcher. The history with my left knee is no good so when I went down, I knew what really bad pain would have felt like. Luckily, the pain I was feeling was bearable. I managed to get my skiis back on and coast down the run. Once at the bottom, we got to the car, grabbed a bite, and headed home. Beer helped with the pain. Today, I am wrapped up and enjoying some TV, reading, and resting. And I don’t feel bad about it. I know that I could have been better served with an arm workout or some modified ab work but today I knew that I needed to let myself rest and enjoy the extra day off. I needed to have some me time and rework my workout plan for the rest of the week. I just need to remember that it is ok to slow down and start over! 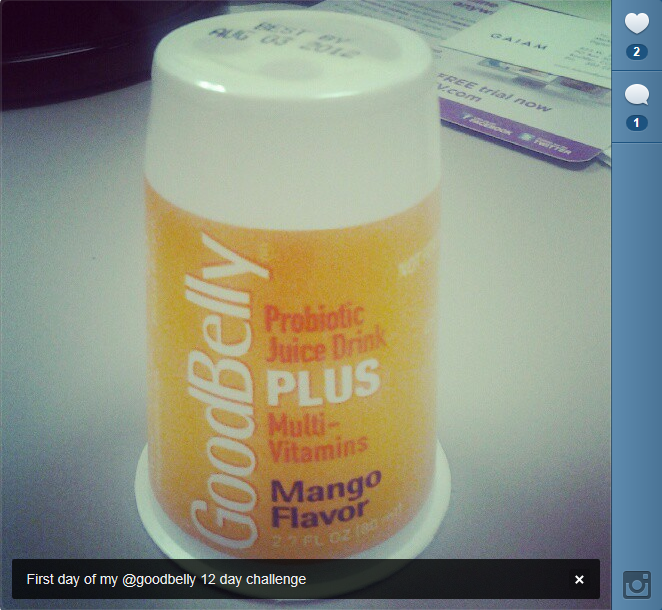 About two weeks ago, I started the GoodBelly 12 Day Challenge. For those of you who have never heard of GoodBelly, they are Dairy Free Probiotic drinks. The line of products offers everything from your morning juice to a probiotic shot that includes your daily multivitamin. 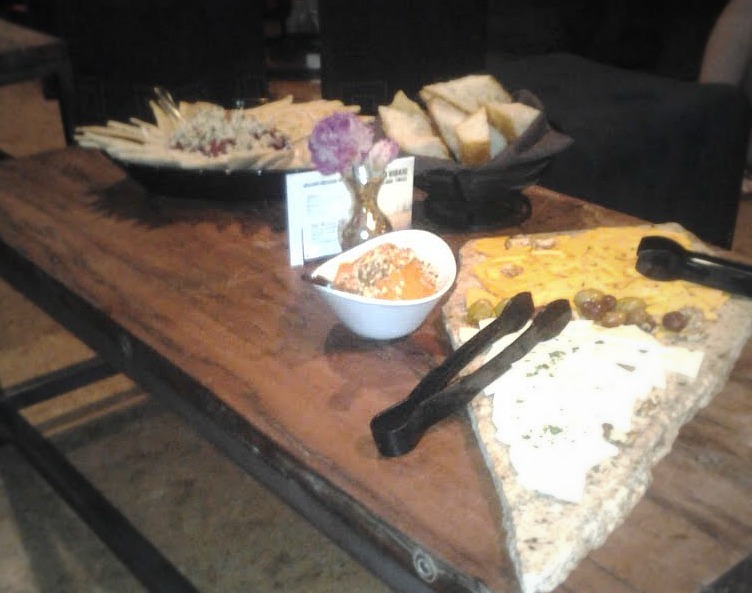 Before attending the GoodBelly Happy Hour, I had seen probiotics but had never used any. Essentially, your body carries around a lot of bacteria, some good and some bad. 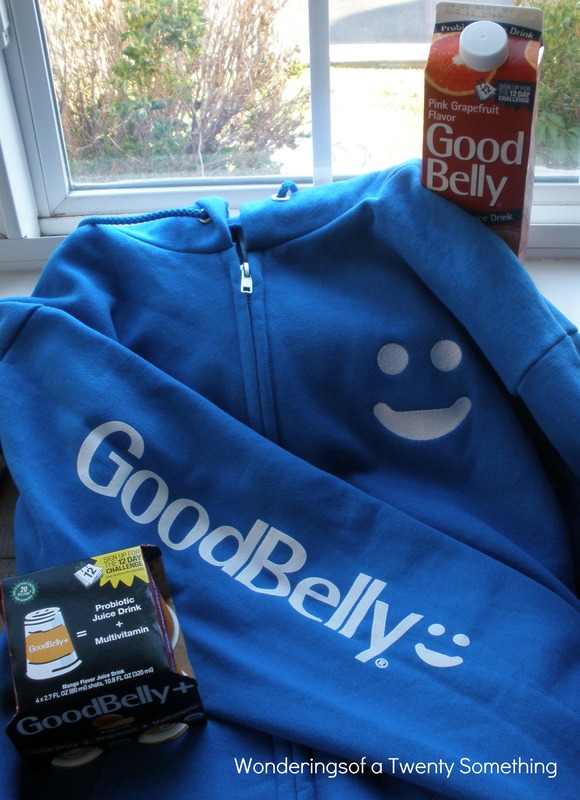 The GoodBelly products attempt to get rid of any bad bacteria and replace it with the good stuff. It’s all about balance! I am always skeptical of anything that isn’t already in my meal or nutrition plan but I thought I would try it out. Throughout the 12 days, I went through some bouts of unpleasantness and bloating. I started to watch what I was eating and drinking and how close I was doing that to taking the probiotic. Once I found my rhythm, things went a lot easier. It seems the better I ate, the easier things went. Definitely kept me honest on my planned menu for the week. Straying on junk generally caused a stomach ache. So in hindsight, how am I feeling? Well, we actually bought GoodBelly to keep in our fridge for maintenance. I felt a little better, seemed a little easier to get up in the morning, and I had a little more color in my face. As I am no nutritionist, if you are unsure of how you will be affected my probiotics, you may want to check with a professional. For me, I definitely think that this is something that will be working for me for a while! Now to the good stuff. GoodBelly wants you to feel good too! One winner will win enough vouchers to participate in the 12 day challenge. To Enter: Leave me a comment telling me which flavor you want to try! 1. Follow me on twitter @kemerselis and leave a comment telling me you did! 2. Like me on facebook here and leave a comment telling me you did! Thanks to GoodBelly for sponsoring this giveaway! I alluded last week to a fitness challenge that I have planned for the month of July. I definitely need a goal to keep myself moving so here it is! I plan on doing 100 miles of fitness miles in the month of July. Between the last push for training for my first 5k, walking the dog, biking with the husband, and hiking in Boulder this is definitely a very doable goal. I have been down and out for the better part of the last month, feeling run down and congested. No better way to get back on it then to set some health and fitness goals. To kick things off, we biked 13.6 miles this morning before it got hot. I also did a jog/walk of about 2 miles. My GPS crapped out on me but that is my best guess. I also have 2 miles of mild walking while I was still getting over this sinus business. So far, the total is 17.6 miles! On top of the mileage goal, I also plan on eating better, drinking more water, and taking my vitamins! More details to come! If I stick to it, I will owe myself a treat at the end of the month! I’m thinking mani/pedi. If you want to track your mileage and share, let me know! I’m wondering, how do you keep yourself on track? I had heard of GoodBelly probiotics in the past but had not really had the opportunity to try them out. I am happy to find that they have dairy free options as there are plenty of yogurts in my life right now. I can always use a new morning juice or a quick afternoon snack. Thankfully, the GoodBelly team was able to provide us with mocktails and information and I actually left with more knowledge than I expected. Did you know that you carry around 6 pounds of bacteria? Amazing, no? I was also provided with some awesome local goods and a very comfortable sweatshirt. I will be trying their 12 day challenge as soon as I am off antibiotics (not really interested in that chemical reaction) and writing a review. Stay tuned! So it’s been over a week and I still feel like garbage… I was so tired of being sick last night that I sat on the couch and cried into my chicken noodle soup. The Husband felt bad because there was nothing he more he could do. I am so ready to feel better. I want to move again and feel active however I am so congested that I have to catch my breath after walking up a few flights of stairs from the car. I feel pathetic and I am ready to move on. I also want to get back on my running plan so that I can actually run a 5k in a month! It also doesn’t help that we have had triple digit heat outside and goosebump inducing cold inside my office. I sat outside for 15 minutes yesterday just trying to get my internal temp up. I suppose that the freezing temps inside are probably not helping my sinuses at all. At least I have more soup for lunch (thanks, Husband!) so I will be able to warm up. I definitely think that this was the best soup we have made. I can’t taste the entire spectrum of flavors but I was impressed. We may have a high of 105 degrees today but I am eating soup! Where do you find your motivation when you are sick?